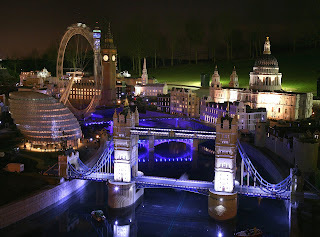 BRICK STAR: LEGOLAND Windsor - I'm HERE!!! LEGOLAND Windsor - I'm HERE!!! I'm across the pond and having just arrived, have fallen victim to jetlag... however I'M GOING TO .LEGOLAND Windsor TOMORROW! Brilliant! I have some meetings in London at our new artistic hub, Merlin Studios, on Monday and Tuesday, so being the fanatic LEGO enthusiast that I am, I took 2 planes and 2 trains to get here a few days earlier to visit the only LEGOLAND I haven't seen. Looking forward to being the first one in line at the gate, tomorrow... and they are going to have to sweep me out at the end of the day. I'll slam Brick Star with all my pics when I'm thru!